The Chicago Bears will visit the Green Bay Packers on Thursday night. This game is a battle of two teams within the NFC North. In the last several years, the Bears and Packers have dominated the division. Chicago comes into the game with a 1-0 record. The Bears smoked Indianapolis in their season opener on Sunday. Green Bay, who lost just one game last season in the regular season, is 0-1, after falling to San Francisco in their opener at home. Ready to bet on this Thursday night game? This bookmaker is a great one for betting on NFL games! Can the Packers Offense Get Going? The Green Bay Packers allowed San Francisco to score 30 points in the season opener. While the Packers feel their defense will be behind their offense, they were not pleased with the performance. During the short week, look for Green Bay to have figured some things out. The Packers offense racked up 279 yards of passing offense, as Aaron Rodgers completed 30 of 44 passes. Cedric Benson had a tough opening game, as he rushed for just 18 yards on 9 carries. Randall Cobb was the Packers leading receiver, with 9 receptions. The Packers receiver Greg Jennings is questionable for the game. 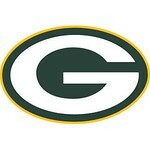 Green Bay is the only team out of the NFC North that did not win during week one. The Chicago Bears got off to a slow start; throwing an interception that was returned for a touchdown against Indianapolis. After that, the Bears had no problem and came away with a 41-21 win over the Colts. Jay Cutler finished with 333 passing yards in the win. 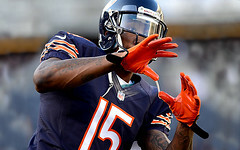 His top receiver was newcomer Brandon Marshall, with 9 catches for 119 yards and a touchdown. Michael Bush, in his first game as a Bears running back had two touchdowns, while Matt Forte finished with 80 yards and a score. Chicago’s defense forced three interceptions, and also a fumble in the win. The Bears are relatively healthy, but linebacker Brian Urlacher has some question marks regarding his health. Have your own predictions? Make some money by betting on the game at our favorite bookmaker. This is a great game to put on National Television on a Thursday night. These two teams have a long standing rivalry. The Green Bay Packers are going to come into this game needing a win in a bad way. Starting the season 0-2, both being road losses is not the way the defending NFC North champions want to get going. Chicago would love to move to two games ahead in the division with a win on the road. The Bears are a different team than in past seasons, their offense is going to be one of the best in the NFL. The Green Bay Packers are listed as a 6 point favorite in this game. Many feel that is too much, for a really good Bears team. We feel Green Bay will win this game by a touchdown; 27-20. We are taking the Green Bay Packers -6 and the straight up winner of Green Bay -145 in this game. The total is listed at 51, which we feel will be a bit too much. We are predicting 47 total points in the game, therefore we like the under 47 in this game.